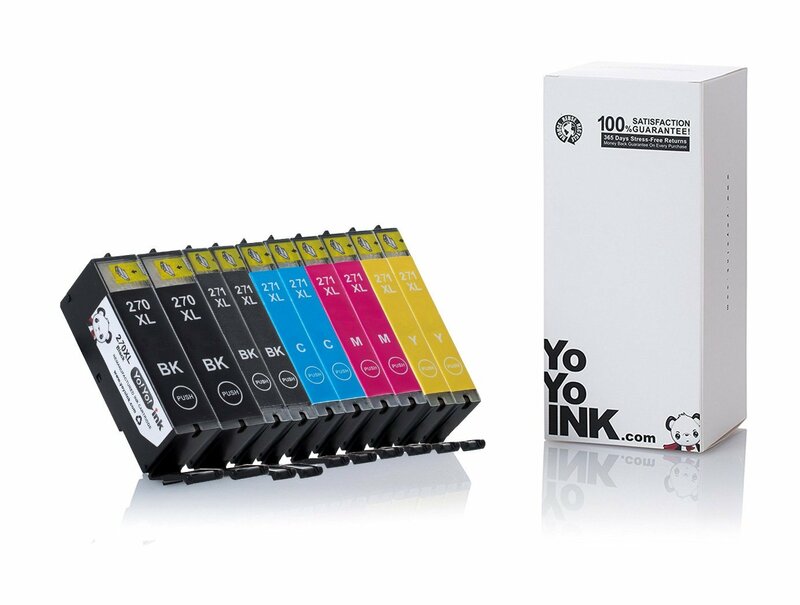 20 PACK (4 PGI250XL Black, 4 CLI251XL Black, 4 CLI251XL Cyan, 4 CLI251XL Magenta, 4 CLI251XL Yellow). 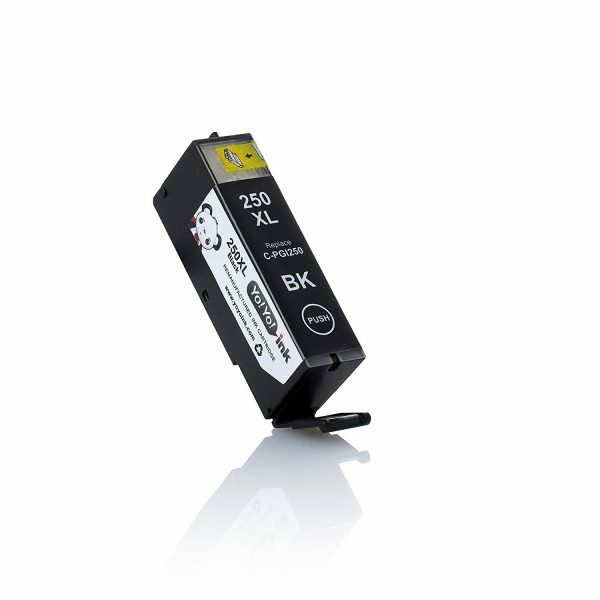 Canon Ink Cartridges, Canon 251 Ink, Canon Ink Cartridges 251, Canon 250 Ink, Canon 250 XL Ink. 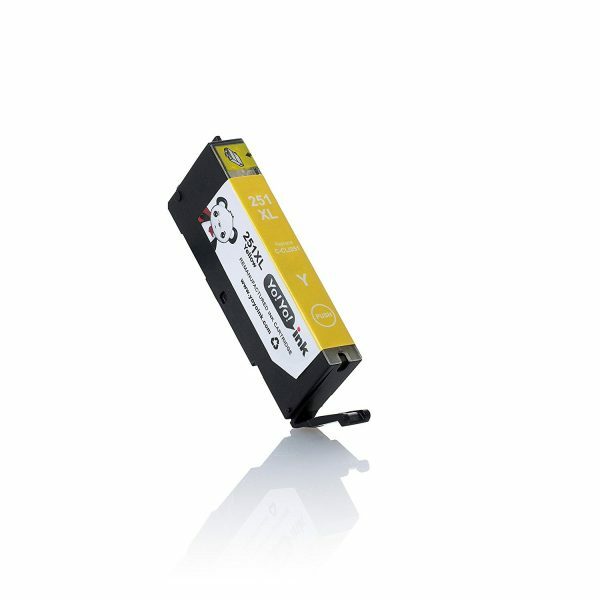 Canon Ink Cartridges, Canon 251 Ink, Canon Ink Cartridges 251, Canon 250 Ink, Canon 250 XL Ink. I thought it was time to post a more helpful review about this…I gave a try on these cartridges buying a 4 pack at the first time because of its compatibility with my printer Canon MX922,and the attractive price, of course, but I was skeptical if perhaps the printer could read the ink levels, and if it could get a mess from the ink of the cheap cartridges. I receive them very,very quickly from the seller! I installed them…They worked as the original ones, and the printer read the ink levels with no problem. The only small difference -a positive difference- is that the generic ones are transparent, and the mode of led that lights it when you install it, and affordable price… These cartridges are excellent, and the printing quality is the same as the genuine Canon ones. These are the reasons I decided to buy this 12 pack for less than $50. The same product comes in different small boxes, in one white protective bag. 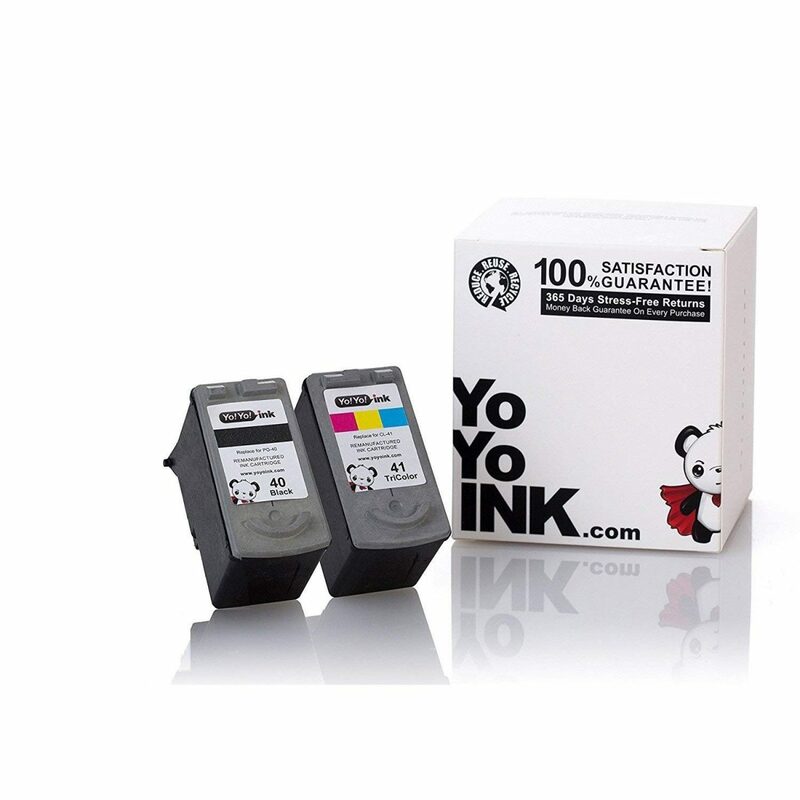 I highly recommend the product if you want to save a lot of money in cartridges. Check the pics for a better explanation, and please, recycle the old ones!!! Peace for anybody. This a stretch for me , I usually buy name brands only but since the prices are going through the roof on printing products (not printers) I thought I would give these a try. If you are careful opening them up (mandatory) you will have a great product rivaling the original (if you are not careful, you could be a smurf for a day or two!….thanks Amazon for such a good selection! My initial order had a couple of leaking cartridges. No big deal. I contacted the company via email and they took care of it immediately. I have printed color photographs with the new ink and they look just fine. My Pixma printer recognized them perfectly. I am very satisfied with my purchase and will buy here again next time as well. Hesitant to try this product at first since trying the ‘refill’ option did not work. Pleasantly, the cartridges have worked perfectly in our Canon printer so we ordered a second supply. Only ONE cartridge had leaked during shipment, but fortunately the packaging held the contents. We did report the minor issue to the company and Amazon, and the response from both was so outstanding one would have thought the entire shipment sprung a leak! Everything about the cartridges are first rate, and we definitely recommend the product. Also, a sincere ‘thank you’ to both customer service teams! This ink works perfectly. I would have rated 4, due to the lose ink that emerges when pulling off cap. I rated 5 stars because of price! When you pay a HUGE amount less than name brand, my fingers can have a little ink! Don’t get me wrong it was not some huge amount. Just be aware:) I will be purchasing all my ink from this company for future uses. I am so glad I found this! I bought a great Canon printer that does it all, including awesome pictures. 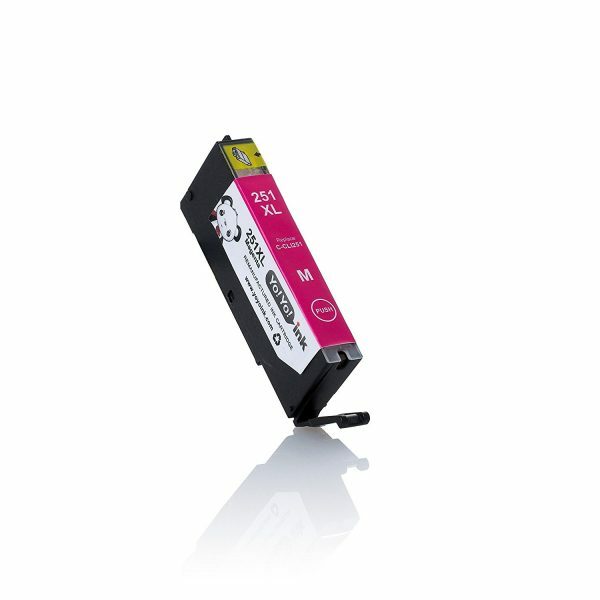 When my ink started to run low, I was hoping Amazon would have the compatible cartridges that I needed – rather than go to Staple’s and pay and arm and a leg for new cartridges. After a little looking around in Amazon – I found them for a great price, guarantee on them, and all the cartridges were XL, it doesn’t get any better than that!! 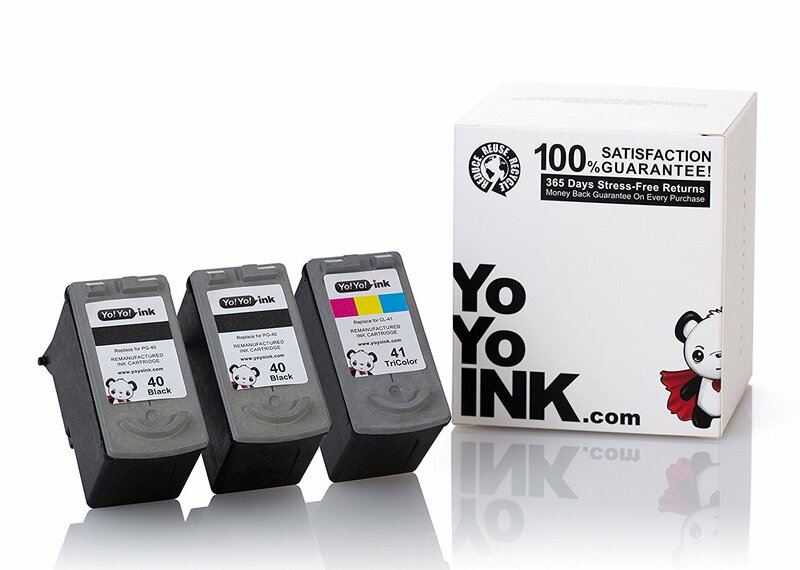 I bought the Yo-Yo ink 6 pack to start, 3 months ago, as in-waiting refills for my new Canon Pixma MG7120 (which I chose *because* it seemed to accept unbranded refills and used separated (economical) cartridges). The refill lights started going off recently, and I have successfully replaced four of the 6 cartridges so far. The printer recognizes the replacements and ‘reads’ them with no issues at all. Let us be honest – do any of us read the directions? Replacing a spent cartridge can be a bit messy. At this point, I did it once without giving myself an overnight ink blot, but it is likely my own fault. ONE cartridge came with a puddle of yellow inside the sealed bag, however, that cartridge went on to perform as expected, and I saw no indication that it had an ongoing leak (rather, I think it occurred during manufacturing/packaging). I am now ordering the 15-pack plus the GY 3-pack to enjoy even greater savings. I gave four 4×6, six 5×7, and three 8×10 archival family photos at Christmas to EACH of my 3 siblings, plus travel photos to my Aunt; my grown kids will be printing photos and my grandson has printed out parts of his science fair project. A few printing errors won’t break the bank. Affordable color and photo printing is how it should be! Fun, useful, and gratifying. I do a lot of printing and have found this ink to have good color and create quality prints. The cartridges also seem to last just as long as the ones made by Canon. Out of four times of ordering this product, we have had to throw away one cartridge because it leaked when opened. Still give it five stars. They also have incredible customer service! When we contacted about leaking cartridges, they replaced our order at no charge and provided very prompt help. Very happy with YoYoInk. Got these ink cartridges instead of the Canon brand, and they work the same as the official brand. Mind you, I am still using the first pack of each color (there are three sets of each color). I purchased these to save money (in the long run, I’ve saved $70 purchasing the generic brand), and hoped that when they were opened, they didn’t leak on me or in the printer…they’ve done neither. So far, I’ve been happy with the output/quality of the inks. Note: I haven’t used the ink with any other paper other than plain copy paper (no photo or thick paper). I was really nervous about buying non-brand ink. The last time I did so was over 10 years ago, and it was a horrible experience all around back then (a different seller and ink of course). The quality was horrible and they leaked into my printer and ruined it, forcing me to buy a brand new printer. This experience has been 1000x better, and I’m very happy with the product and service. 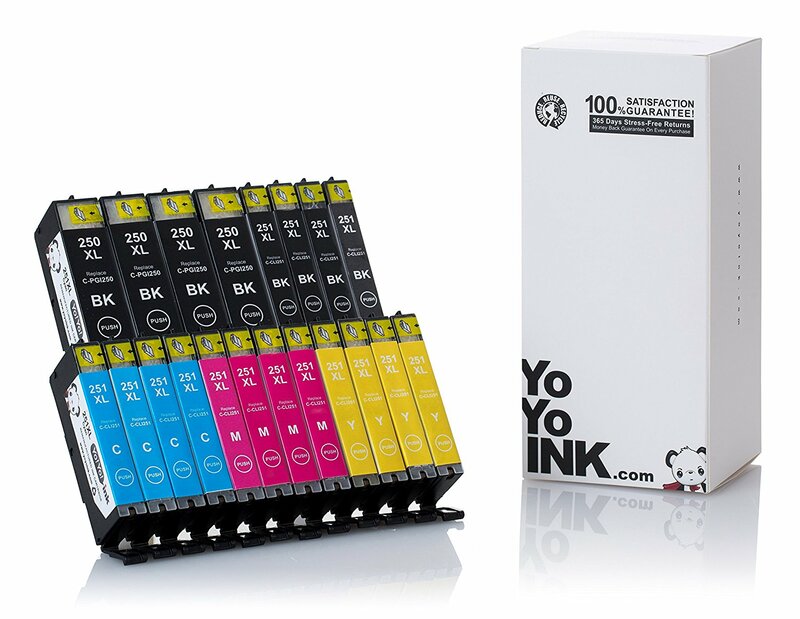 As you know, the non-brand ink options are numerous and competitive. It’s difficult to choose which one is the best option. I was happy with my choice. First, the seller is very good at communication from the time you place your order until after it’s delivered. They send personal emails to ensure you’re satisfied. I was impressed with that. The ink arrived on time and was packaged nicely. I immediately put it to use since my ink was completely out. I only use my printer for daily business documents. My printer has the capability to print photos. I have not tried that, nor would I use an off-brand ink for archival purposes. That’s just my opinion and perspective, being an avid scrapbooker who takes archiving seriously. The quality of ink on my documents is really good. It does exactly what it’s supposed to do. I don’t have any issues with fading, streaking, inconsistent ink dropping, splattering, or any of the issues I had 10+ years ago when I tried other off brands. I think this package of cartridges will last me a long time, but I definitely plan to re-order from this seller again when it’s time to replace. From what I understand, they’re a small seller, so they take great care and pride in ensuring everything is perfect and satisfactory. Dirt cheap! These work just like original cartridges and my printer even thinks they’re OEM. Never had a problem with them leaking – always remove the sticker from the top before taking the bottom packaging off and you’ll be trouble free. Recommended. 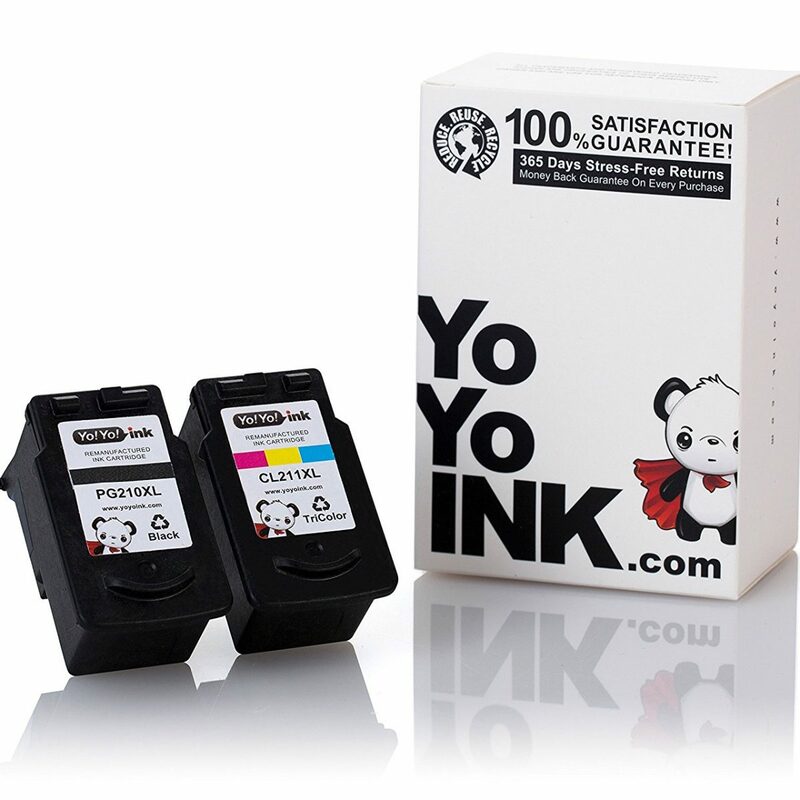 I was uncertain on the quality of these ink cartridges, since there was a huge price difference between them and the costly original manufacturer’s products sold on Amazon and at Costco. The cartridges went in just like a Canon cartridge and very importantly, the printer sensed them just like a Canon cartridge. A very, very good thing. The cartridges have performing flawlessly for a couple of weeks now and I have done a bunch of printing. The only complaint I have is when you tear off the protective seal, the ink can get on your hands if you aren’t super careful. Not enough to write home about; just a few splatters here and there. However, I would gladly take a splotch of ink on my finger than pay up the nose for the name brand stuff. Overall I am delighted. We have been using the printer for the past week printing photos that I have in past been fearful of because of the cost. I am super excited to say there is no difference than our other cartridges so far. For the price you simply can’t beat it. Now I may have to check back in once we have used all the colors, since I didn’t have to replace every cartridge. But I highly recommend if you use your printer often this is the way to go. Also, the printer has no problem reading the amount in the cartridge which was one of my fears. I felt like I won the lottery when I found this item! I had just bought 1 set of cartridges at Sam’s for $85. I came home complaining about the cost and my husband suggested I check online. These were the first ones I found. After reading all the reviews, I decided it was worth a try. They are prefect! Can’t tell the difference. I returned the other set and never plan to buy the name brand again! So far, so good. I was very skeptical about purchasing these cartridges. I worried about the quality and the longevity of each cartridge. I had purchased a store brand before and did not have good luck with them. The YoYoink so far has been a success. I have used two of the cartridges with no problems. No spilling upon installation, fits perfectly into slot, and so far has lasted longer than the name brand but at a fraction of the price. I really like that they have a 100% money back guarantee for two years. Who can complain when you get $200 worth of printer ink for a tenth of that price? YoYoink is fantastic. The product is quality. Delivery is prompt. They back up their product with an unbelievable warranty as well! There is no reason for me to ever buy ink from another supplier. I HIGHLY recommend this company to everyone who owns a home printer.